The Community Big Give is turning your once a year volunteering opportunity into a weekly chance for engagement in the community to fight hunger through a weekend backpacks program. Community Big Give has been helping fight hunger at Thanksgiving in the Sumner Bonney Lake areas for the past 8 years through the food distribution the Saturday before Thanksgiving. The event is known for its powerful force of volunteers serving those in need in Bonney Lake and Sumner. 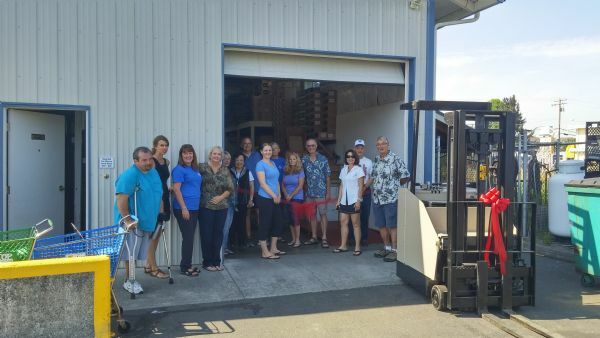 We can’t wait to help you do more throughout the year in partnership with the Sumner Food Bank. The Director of the Community Big Give, Thad Huff the Lead Pastor of Open Life, and the Directors of the Sumner Community Food Bank have seen the opportunity to team up and empower teams of people and individuals to volunteer on Thursday Nights from 6pm to 7pm at the Sumner Food Bank. Volunteers will fill hundreds of backpacks for students in the Sumner-Bonney Lake and Dieringer School Districts who experience hunger during the weekends throughout the school year. This volunteer opportunity is a great moment to build your team, experience the thrill of serving those in need and leave you feeling like you have made a difference in the community with those who have need. To secure your space CLICK HERE.